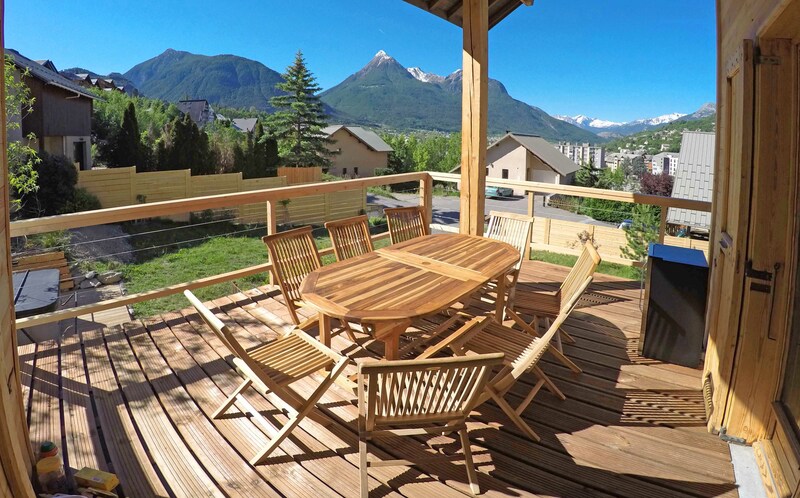 Beautiful and spacious Chalet in the centre of Briancon in the High Alps - Serre Chevalier 1200. 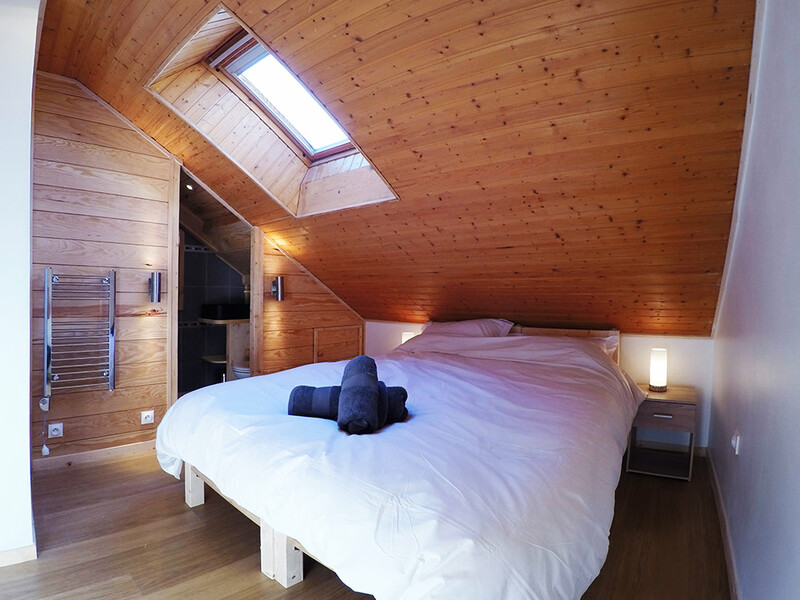 Stylishly renovated in 2017 so all the beds, linen and mattresses are brand new. 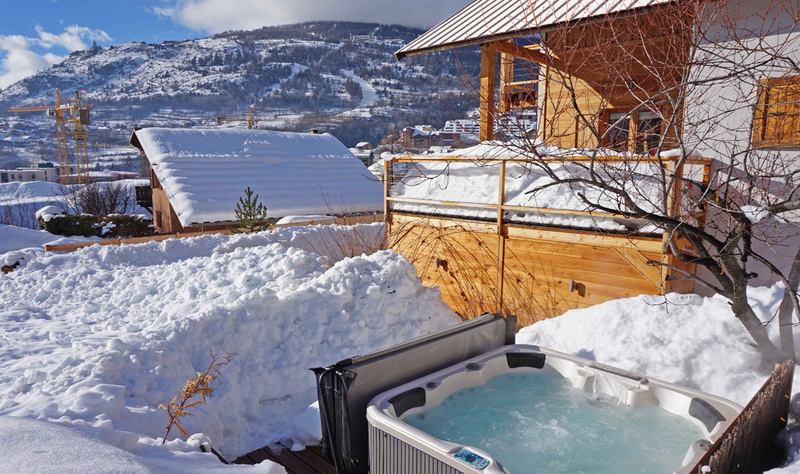 Set in a quiet and private location with stunning views of the local mountains and ski pistes (including the night skiing at Briancon), the Chalet is less than a 10 minute walk to the ski lifts, restaurants, bars and the beautiful historic walled citadel. 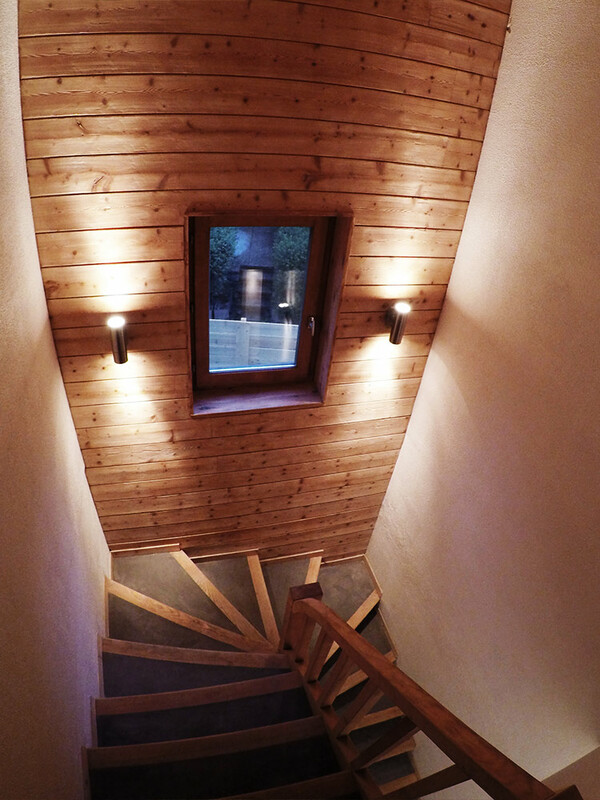 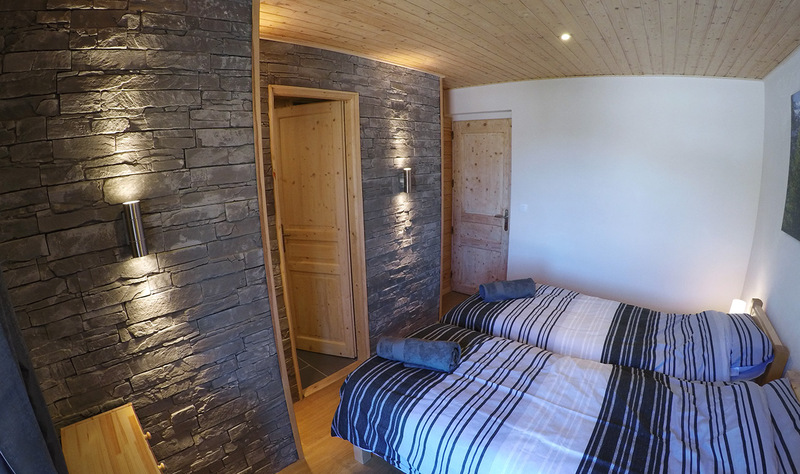 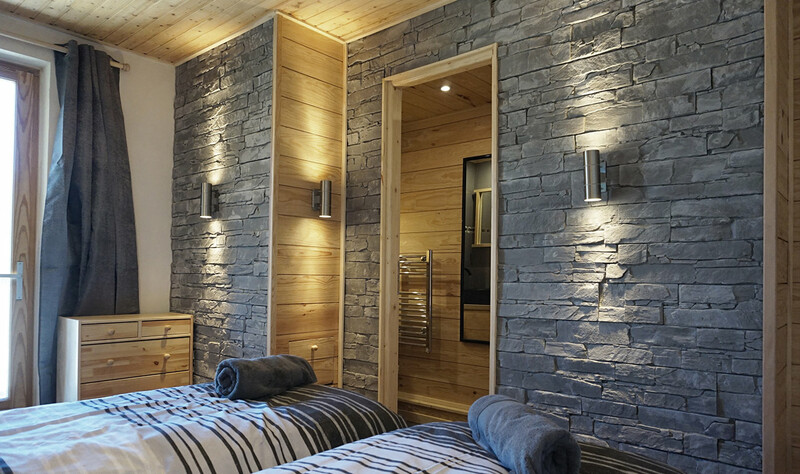 The Chalet has recently been beautifully renovated to a high standard. 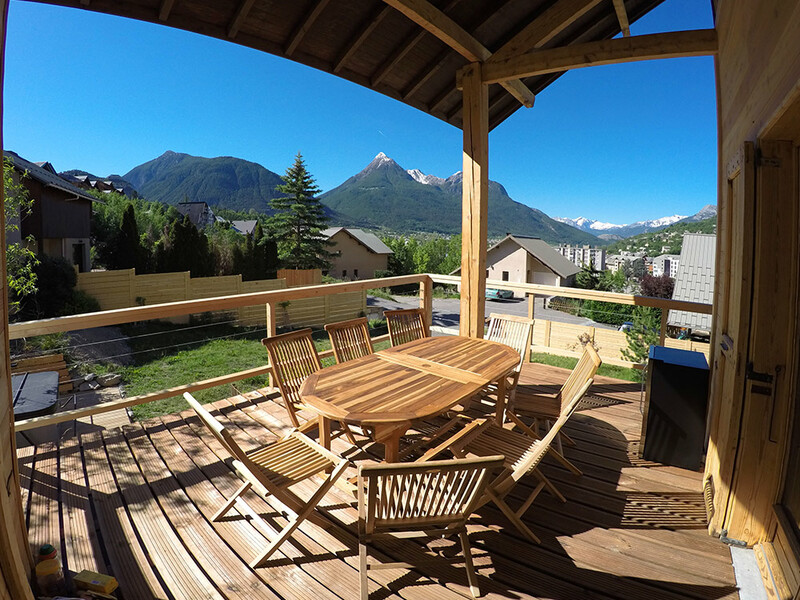 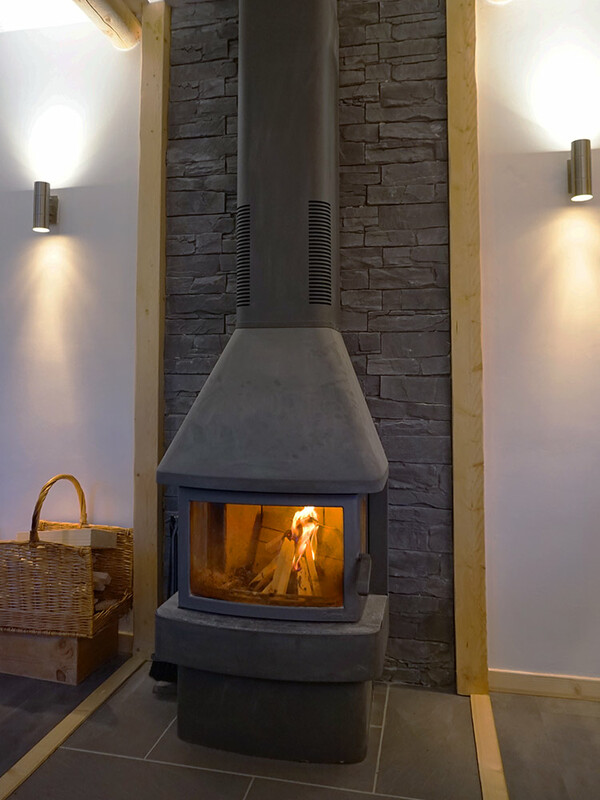 It has a spacious living room and dining area with log burning stove, large modern kitchen, large balcony terrace with amazing mountain views, jacuzzi and private garden and parking. 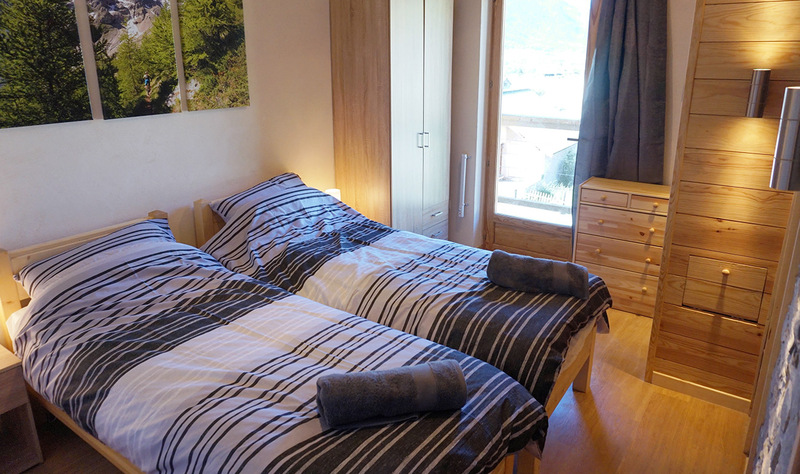 5 ensuite bedrooms (one with a bath) all have king size beds that can be split into 2 singles, so the chalet can be arranged to suit all group types up to 10 people. 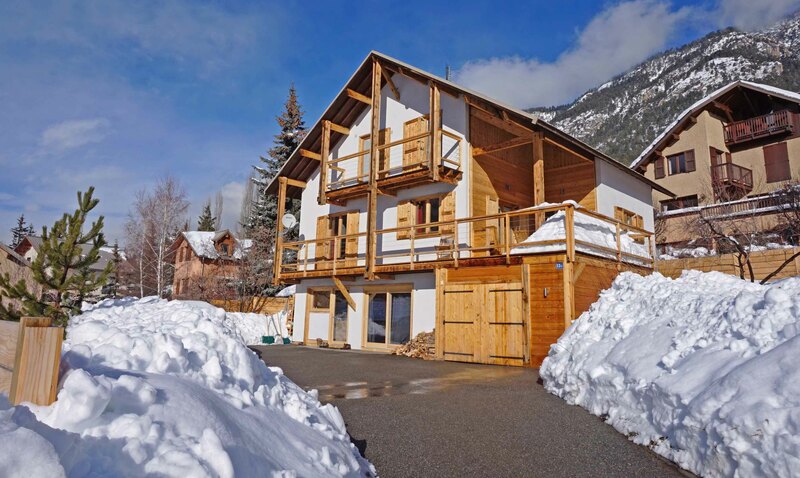 The chalet has a large sunny garden with shaded eating areas and there is a locked garage for guests to store large equipment such as bikes and kayaks as well as skis, boards and general mountain gear. 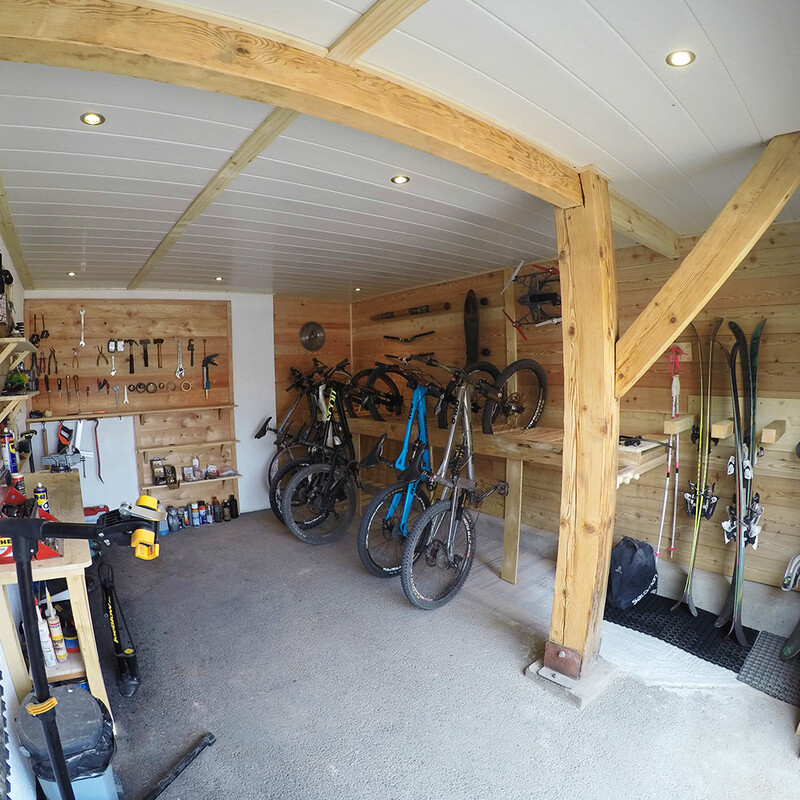 There is also a wash area for bikes, kayaks and wetsuits. 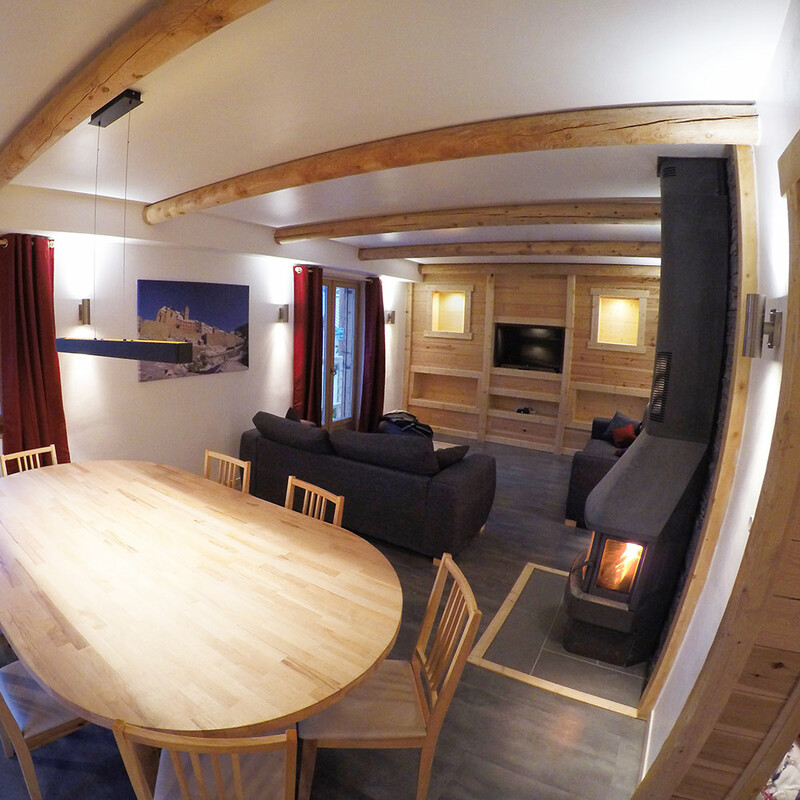 Guests benefit from many extras including discounted ski/board/bike hire , lessons and many of the local activities. 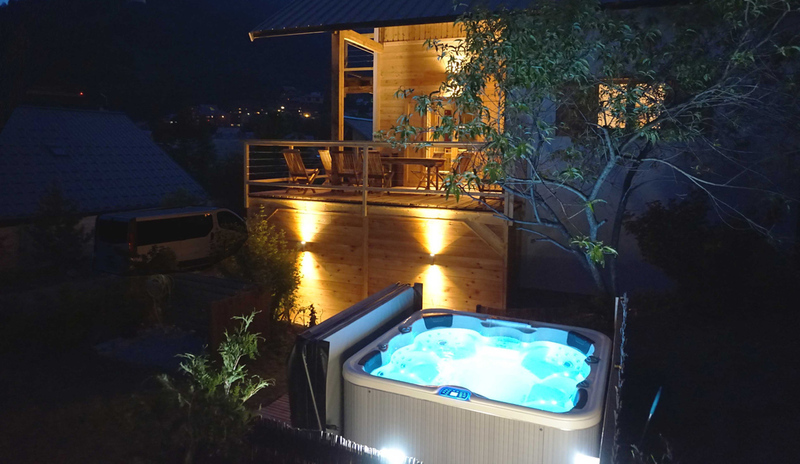 We are experienced and knowledgeable hosts that can assist organise anything from taxis & restaurants to suggesting activities and places to go to make the most of your holiday. 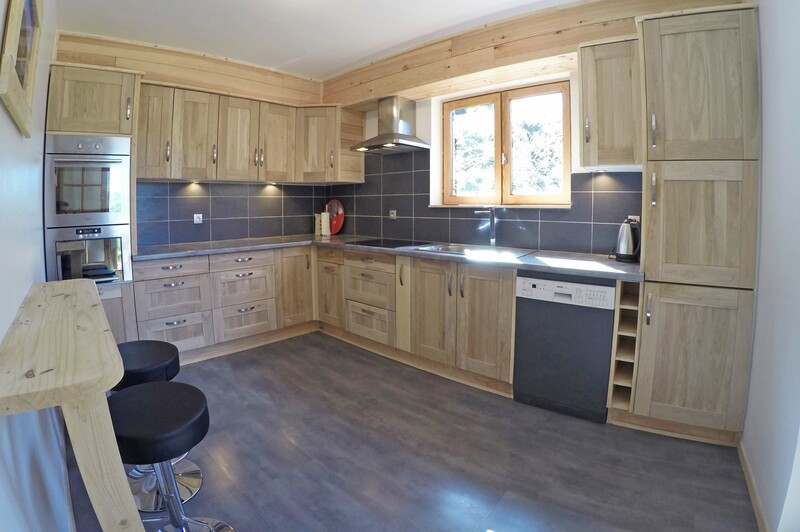 The chalet can be rented on a self catered or catered basis. 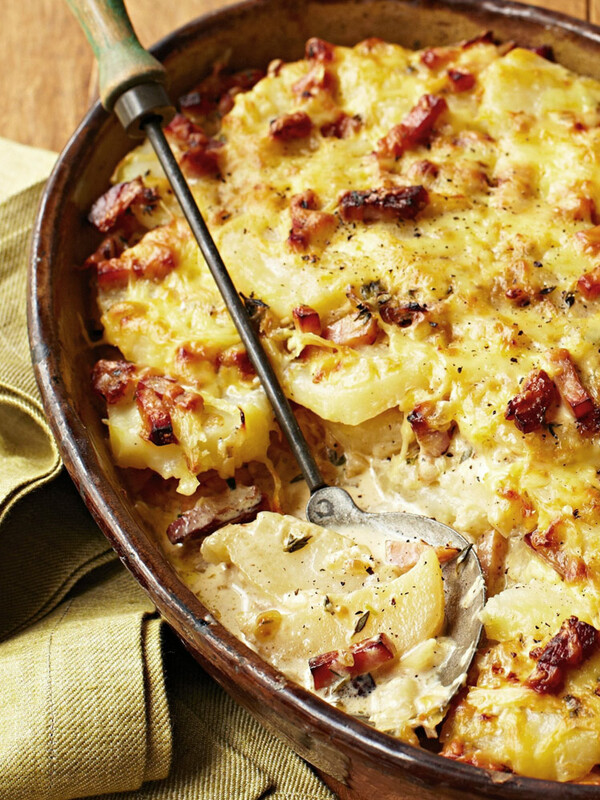 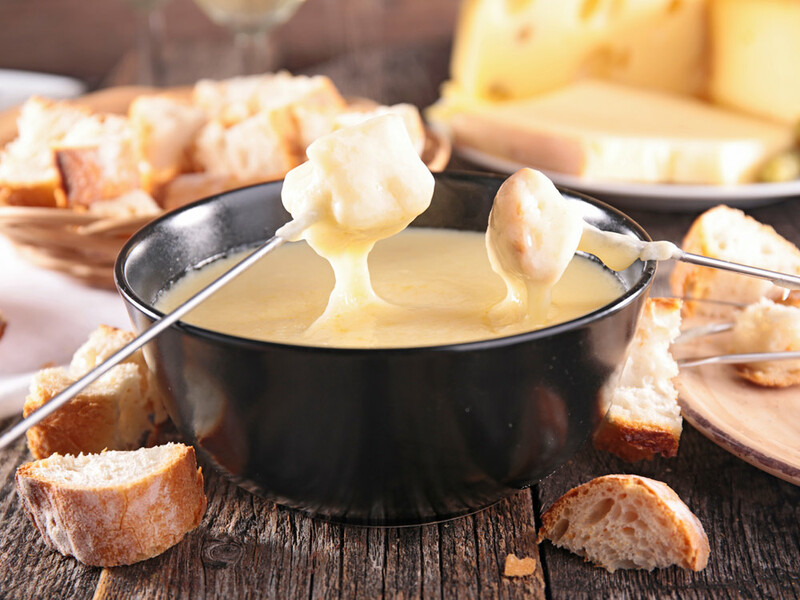 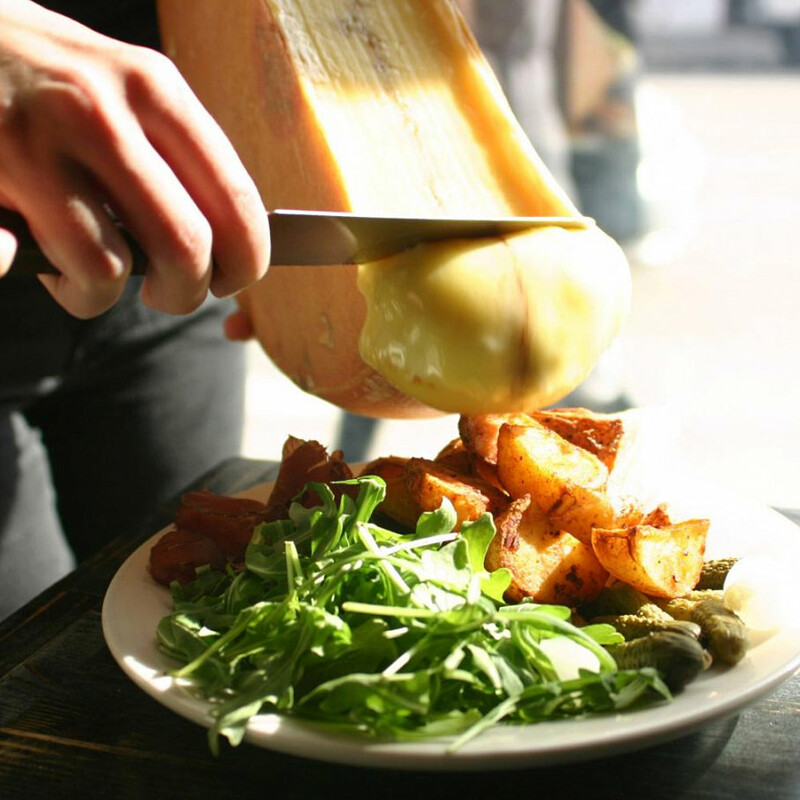 We offer catering from 600 euros per person and serve you up a delicious feast of both traditional mountain food and modern classics, all in large hearty portions perfect after a big day on the mountain. 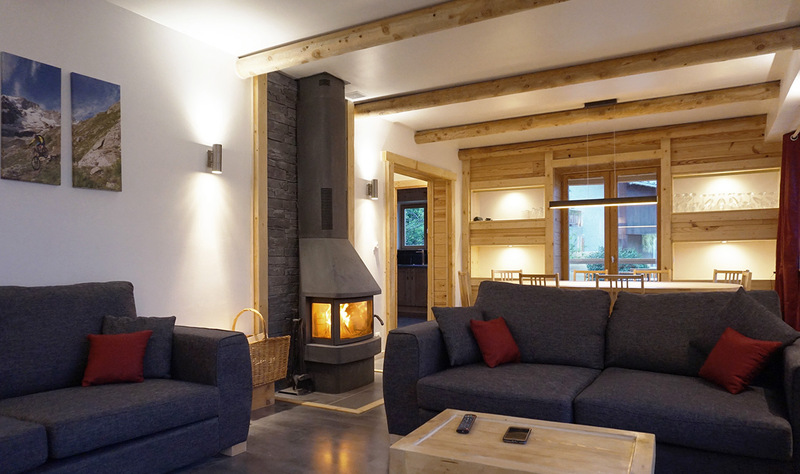 To start the day we offer a continental buffet breakfast with a hot option and there are teas, coffees, vin chaud and freshly made cakes waiting for you when you get into the chalet.